Afternoon snack time is so much more fun if you serve the snack in a pretty container. There are lots of retail products out there, but why buy new when you can make a pretty DIY Paper Cone for Snacks in no time at all for just pennies? I love easy cooking tips like this one that can save you time and money. This pretty snack cone takes just seconds to make and you only need one supply: a piece scrapbook paper. Making a DIY paper cone for snacks. 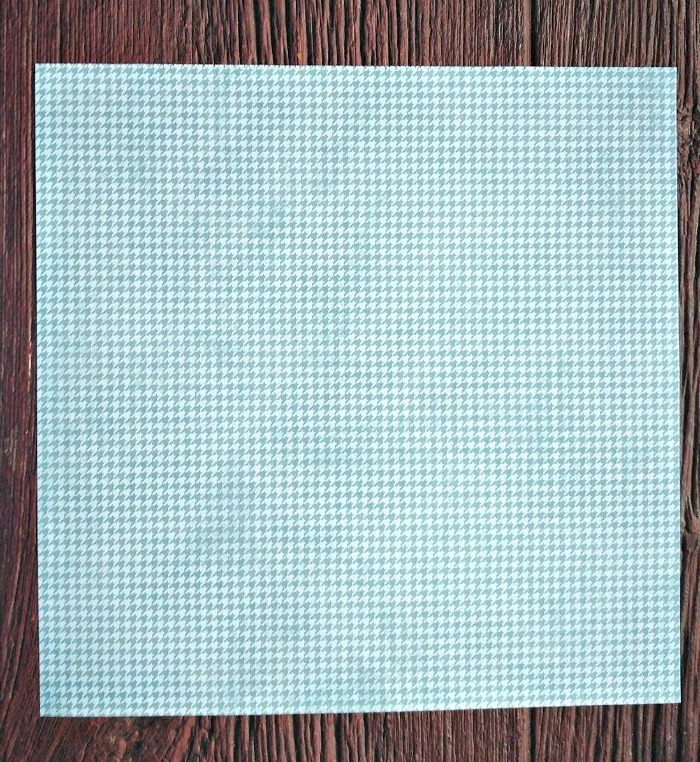 Start by choosing a piece of scrapbook paper. I chose a 12 x 12 inch size. You can go larger or smaller but the size of the cone will decrease or increase if you change the paper size. Whatever size you choose, it must be square and your finished cone will end up half the size at the top of your total paper width. My cone ended up being 6″ across the top of the cone and 5 1/4″ deep from a 12″ sheet of paper. If you don’t have scrapbook paper, parchment paper will also do. 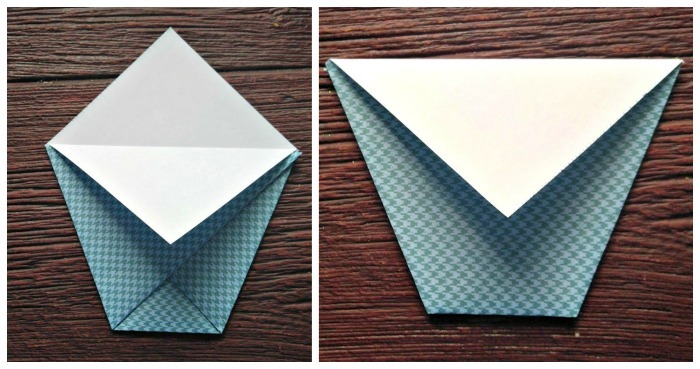 Fold the paper in half and make a sharp crease. You will end up with a triangle shape. 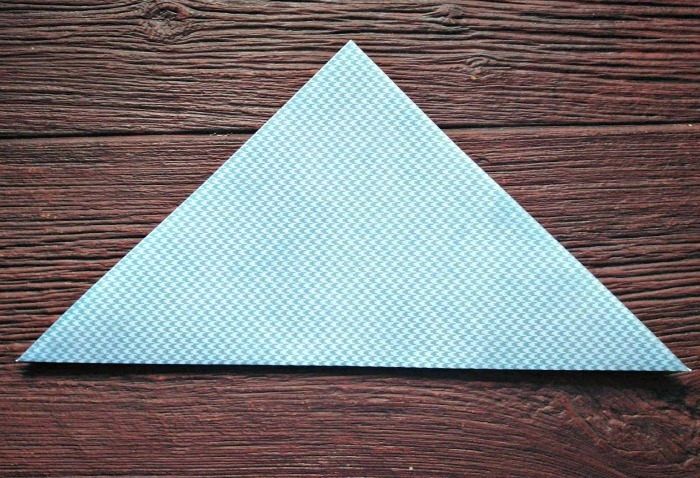 Take the right side point and fold it over to meet half way down the left side of the triangle. Then take the left point and bring it over to meet the top edge of the right side fold. Your shape will now be a pentagram with five sides. You are almost done! Fold the top triangle point down over the mid way fold on both sides of the paper cone. Ta Da! That is all there is to making this DIY paper cone! 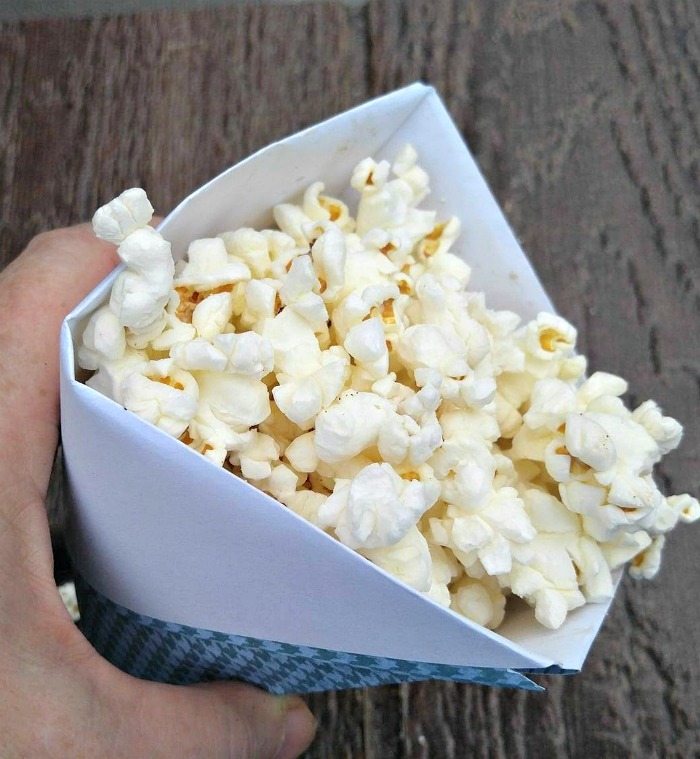 This DIY paper cone makes a great snack holder for cold snacks like trail mix or popcorn. 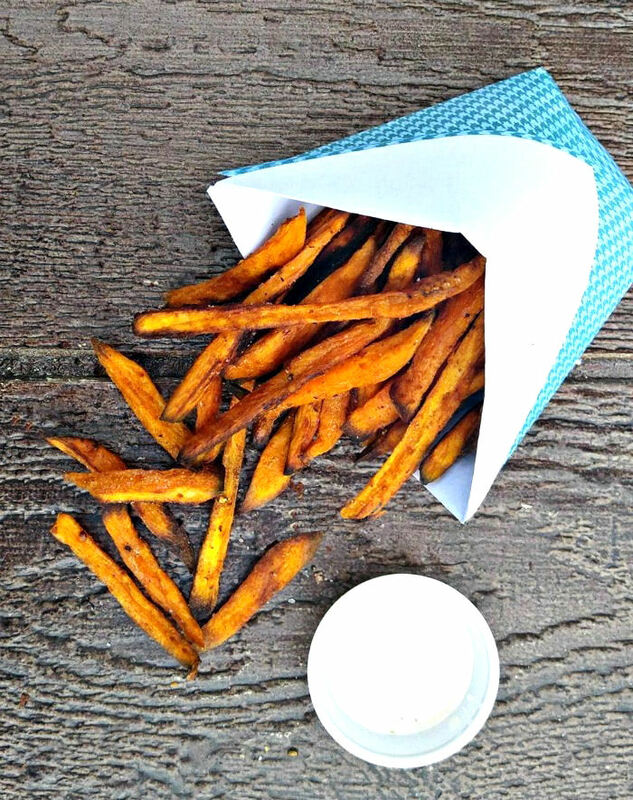 And it also works great for hot foods such as sweet potato fries for french fries and for my maple cinnamon toasted almonds. I love that this simple DIY paper cone can be made to suit all sorts of holidays. Spruce up your party entertaining by making some today! Your guests will love them! Why not make one today for the Fourth of July?